Have you been scratching your head, trying to figure out a special place to dine with the love of your life? A beautiful romantic dinner, maybe? To begin with, stop mulling over it! Fancy settings, romance in air, finest quality wines, top class gourmet food paired with soothing music, everything is right at your aid. Wondering where? Well, right in the garden city of Bangalore. This upscale city, also known as the “Silicon Valley” is noted for its beautiful weather. This therefore gives you absolute access to fanciful dinner dates. What excites you the most? 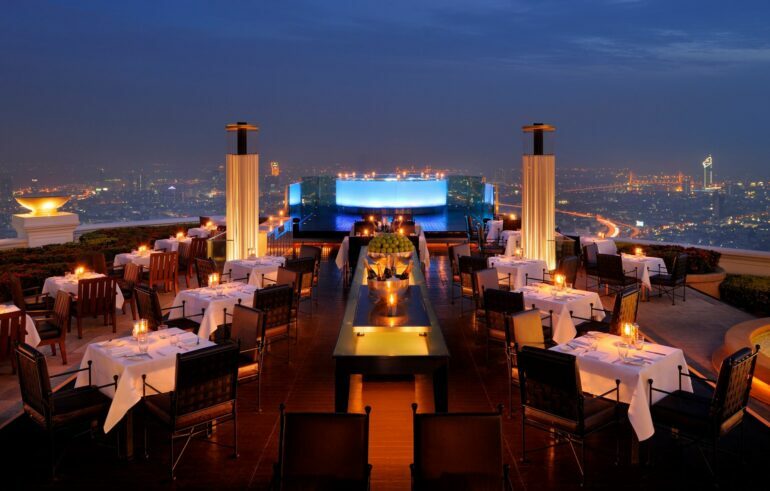 A glamorous evening by the pool or an exotic dinner on the rooftop with the most incredible skyline as your view? The city lets you indulge in the finest and dreamiest of settings. Here’s some mesmerizing names making it to our list of top 4 best restaurants for a charming and romantic getaway. 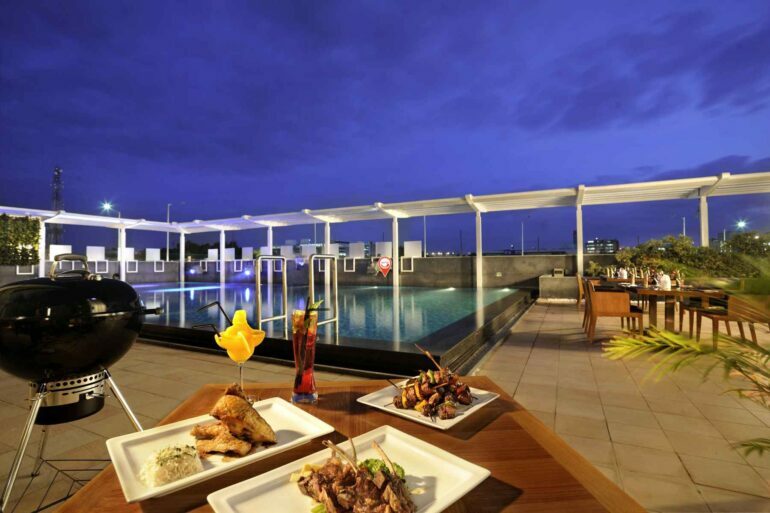 Blue Terrain, Novotel – The place can certainly be described as a pinnacle of fine dining. Fancy outdoor settings and a breath-taking ambiance indoors, you are bound to be awe-inspired from the moment you step in. Shelling out hard earned bucks for an exquisite romantic dinner date demands nothing but exceptional hospitality. Blue Terrain is a name that lives up to all your expectations. From the manager to the attender, everyone is keen on delivering service that’s top-notch. Coming to the food, you may not come across a lavish menu including dishes from all different lands. However, everything that’s in the menu are amazingly appetizing and authentic. Olive Beach – The place is eminent for all wonderful reasons. Wish to experience exquisite dining in a beautiful Mediterranean ambiance? Well, Olive Beach has got you sorted. Fanciful is an understatement. Vibrant colourful motifs against bright white wall in a resplendent Mediterranean background is what you experience. Icing on the cake – chef Madhu Chandra’s lip-smacking gourmet creations. Every bite of the food presented is finest in class and delicious to the next level. It’s more like having a party in your mouth. So, if you are a foodie, also keen on dropping by places that are outright fancy, Olive Beach is definitely your place. Le Cirque Signature – Do you have a fine taste for wine? Paired with exotic gourmet dishes, your taste buds are sure in for a treat at Le Cirque Signature. Plates that look like art on a canvas – yes that’s what you get when dining at this fanciest Italian place. An absolute luxurious backdrop with embellishments that scream lush, impressing one is a piece of pie when you drop in here. Also, do not fail to book a corner table by the magnificent glass window. You could even place a special request to the chef to bring on board a dish that’s classy, exquisite and delicious for your lady love. Rim Naam – It is believed that patrons who come here keep dropping by every now and then. The picturesque settings of the restaurant will cherish you every-time you visit. 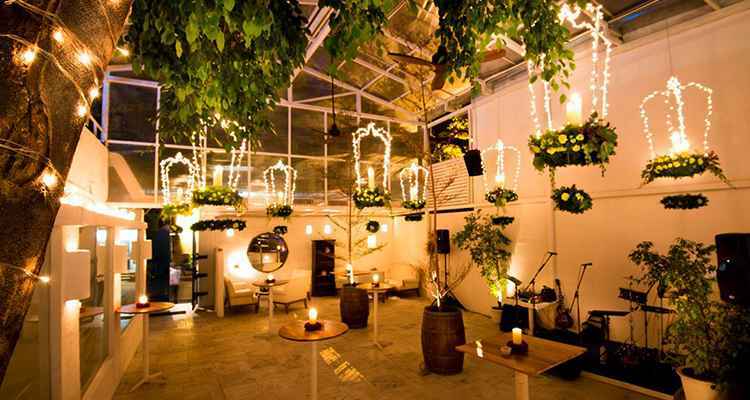 Canopy of trees, beautified with pretty lanterns lifts the beauty of the ambiance without a doubt. If Thai cuisine appeals to you the most, come here for a lavish dinner that’s fit for a king. 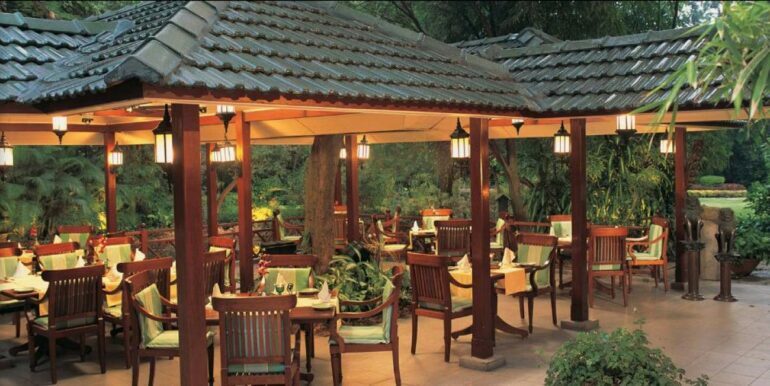 Cherries on top – Oberoi’s hospitality is a benchmark. Every little detail is taken care of. Drop in here with your muse and take her by a surprise with how wonderful the settings are, enhanced with a delicious spread of food.